The National Coordinating Committee 2014 for Fair and Humane Immigration Reform qualifies President Barack Obama's decision to delay any administrative relief to the undocumented immigrant communities until after the November mid-term elections as politically deceptive and manipulative not only to immigrant families but to the electorate at large. 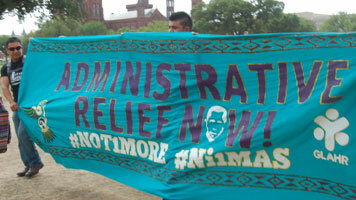 "Each day that the president delays administrative relief through executive action another 1,000 persons are separated from their loved ones and deported, and thus, more families devastated and undermined economically," stated Carlos Arango of the Alliance for Immigrants Rights in Chicago, Illinois. 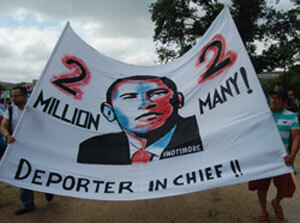 More than two million deportations have occurred during the last six years of the Obama presidency. "Another deception added to many previously committed against immigrant communities is how we interpret this latest broken promise by Obama," declared Professor Armando Vasquez-Ramos of California-Mexico Studies Center based in Long Beach, California. "He has clearly defined his remaining years as lame duck Deporter-in-Chief, and this will be his legacy," concluded Vasquez-Ramos. "Obama cannot be trusted in matters of immigration, if any for that matter. 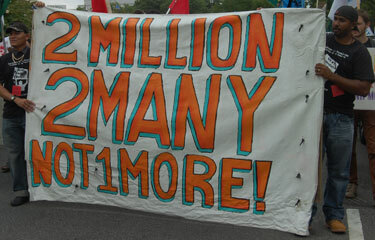 He has executed the most systematic all-encompassing state apparatus to perpetuate the vulnerability of immigrant workers and their families, particularly Mexicans and Latinos generally, more than in any other period of American history," observed Nativo Lopez, advisor to Hermandad Mexicana of Los Angeles, California. "If there was any time for Latino voters to consider political independence from both major political parties, Democrat and Republican, now is the time," commented Juan Jose Bocanegra of the May Day Coalition in Seattle, Washington. "President Obama has taken the Latino community and voter for granted and has put party interests over the broad humanitarian interests of millions of hard-working families," he charged. The National Coordinating Committee 2014 is now preparing to convene consultative assemblies within immigrant communities nationally to discuss influencing the immigrant rights movement towards independence of political parties, but focused on holding the president to his new promise of executive action before the end of 2014. When Barack Obama and I last sat down in 2006, I refused to shake his hand. Today, I still will not. His announcement last weekend that he would delay executive action on immigration is his fifth broken promise to Latinos on this all-important issue for our community. He has been blind to the pain of the 1,100 deportations our communities face every day and the anguish our families feel as they are swung back and forth as political pawns. The question for us Latinos — especially the nearly 24 million of us eligible to vote — is, what to do about this? How can we ensure that the fastest-growing demographic in the country is not taken for granted by Democrats who purport to be our allies but often dash our hopes in the face of the least bit of political pressure? There are no obvious or even satisfactory answers, but one thing is clear: We have been slapped in the face one too many times by this president. And it probably will not be the last: Obama has a long record of betraying Latinos — and it predates his days in the White House. I have seen it up close. When Obama ran for the U.S. Senate in 2004, he promised to represent Latinos and lead on immigration reform. His speech during the Democratic National Convention that year captivated me. While busy running six health clinics for low-income and mostly undocumented immigrants on Chicago's southwest side, I strongly urged every Latino and immigrant registered voter I came across to support Obama. As the daughter of a Mexican immigrant who picked beets in South Dakota in the 1940s and then moved to Chicago to open a successful jukebox business, I was proud to pull the ballot for Obama on Election Day. But as Illinois' new senator, instead of working to pass immigration reform, Obama in 2006 voted in favor of building a fence along the U.S.-Mexico border. Security first, then reform, we were told. Sometime later that year, Obama came to Chicago for a damage-control meeting with some 50 of his closest Latino allies. He worked the tables, walking from person to person and shaking everyone's hand. He extended his hand to me three times and three times I refused. How could I offer that symbol of friendship when he had just stabbed us in the back? When Obama ran for president, he promised immigration would be the top priority in the first 100 days. I still wanted to believe, so I cast my vote for him again, despite the disappointment from 2006. He broke that promise, opting instead to spend his political capital on passing his signature health care reform program. He went on to deport more than 400,000 immigrants in his first year — far more than George W. Bush in his last year. On the anniversary of his first year in office, Hoy, the Spanish-language newspaper in Chicago, ran a full-page picture of the president on its cover under the headline "Promesa Por Cumplir" ("Unkept Promise"). And still we held out hope that this president — our president — would make something happen. So again I listened eagerly when Obama delivered an immigration speech at American University in 2010 promising action on immigration reform. With a Democrat-controlled Senate and House, how could changes not be forthcoming? As always, Obama said all of the right things, while doing the opposite of what he pledged. He said, for example, how terrible it was to rip a mother from her child, even as he went on to become the deporter-in-chief — removing more than 2 million immigrants, including the mothers and fathers of some 150,000 U.S. citizen children. In the run-up to his second election, Obama vowed that immigration would be the top priority in his second term. Latinos made their mark on election night 2012, and many voted with the plights of their undocumented mothers, fathers, brothers and sisters, cousins, aunts, uncles and best friends in mind. We delivered for Obama, with 71 percent of us supporting the president. Only 27 percent favored Mitt Romney — a lower percentage than Republican candidates received in the last three presidential elections. Our votes made a difference: We helped Obama win the key states of Nevada, New Mexico, Florida and Colorado. We believed in Obama's "Audacity of Hope." We put him back in the White House expecting him to keep his end of the bargain — finally. This year, Obama promised us action on immigration at the end of spring. Then he promised movement after the summer recess, when federal lawmakers returned to Washington. Now, he promises to take up the issue after the November elections. Colorado Senator Mark Udall, Illinois Governor Pat Quinn, Illinois Representatives Brad Schneider and Bill Foster — all Democrats who have kept their promises to the Latino community and consistently supported reform — will face reelection and risk losing if disaffected Latinos refuse to show up at the polls. Between now and the midterms, more than 60,000 Latinos and immigrants will very likely be separated from their loved ones and thousands of U.S. citizen children will be left without a mother or a father before the president acts. Most of these human beings have lived in the United States for more than a decade and do backbreaking work that Americans do not want to do, contributing to and growing industries that Americans cannot do without. All they ask is for a chance to get right with the law, legally enter the workforce and stay together with their families. 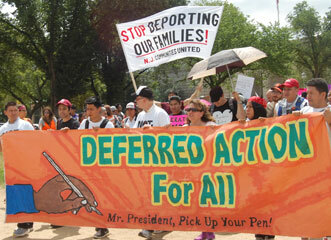 Obama's broken promise and delayed action will mean many of them will be deported. Their suffering and that of their families, friends and children should weigh on the consciences of the president and the Democrats who encouraged Obama to put off — again and again and again and again and again — the push for immigration reform. As for our own plan of action? It is hard for me to imagine many of us voting for Republicans, who have at times been downright hostile to immigrant communities. But maybe Latinos in places like Colorado, Florida, Arkansas and North Carolina — states with closely contested Senate or governor's races — should sit this election out. Maybe only by paying a price at the polls will Democrats finally stop throwing us under the bus. […] The media’s characterization of what is going on at our southern border as a “crisis,” politicians pointing fingers at one another and Washington’s refusal to provide the resources necessary to care for a small wave of refugees — not to mention the bipartisan push to send them back home — is shameful when one considers the context. In June, the United Nations High Commissioner for Refugees (UNHCR) reported that in 2013, the global population of refugees from war and persecution hit 51.2 million — exceeding 50 million for the first time since World War II. Half of them were children. The vast majority were “internally displaced persons,” homeless people within their home countries. Many live in fetid refugee camps run by under funded Non-Governmental Organizations (NGOs), where they face continuing privation and abuse. There are over ten million refugees in Africa, and five million in Asia. More than six million people have been displaced for years, and in some cases decades. The UN estimates that 6.3 million people have been displaced in Syria alone. The U.S. has had a hand in this global crisis. According to the UNHCR, Afghanistan accounts for the world’s largest population of refugees; in Iraq, many of the two million people who fled the country after the U.S.-led invasion in 2003 are now returning, despite the fact that many of its 1.7 million internally displaced citizens remain homeless, and more than one million new refugees have fled… Iraq has also absorbed about one million refugees from Syria. The US is not only one of the world’s wealthiest countries, we also have one of the lowest population densities in the developed world. To the degree that there is a crisis on the Southern border, it is one of our own making: Border Patrol has been overwhelmed by the spike in detainees, especially children, and Congress refuses to devote the modest resources required to care for them in a dignified way. As economist Dean Baker pointed out, Obama’s request for $3.7 billion to address the spike in refugees — most of which would be spent sending them back to a bloodbath rather than caring for them — represents just one-tenth of 1 percent of the federal budget. The recent decision of the Department of Homeland Security (DHS) to open family detention centers in response to the increasing numbers of immigrant families arriving in the United States is like stepping back in history to the agency’s last failed policy of detaining children and their parents. Apparently, DHS did not learn that family detention is a misinformed approach to the current humanitarian crisis along our southern border. In 2006, DHS began to incarcerate families under deplorable conditions at the infamous T. Don Hutto detention center, a former medium security prison near Austin, run by the Corrections Corporation of America, a private for-profit prison company. Children and their parents were housed in cells, forced to wear prison garb and confined to these units for many hours each day. Children were provided no education or medical care and items such as toys, pens and pencils were considered potential weapons under prison rules and not allowed. 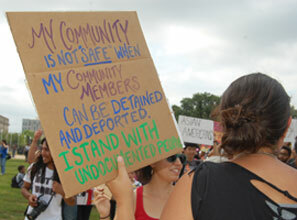 The University of Texas Immigration Clinic and the American Civil Liberties Union successfully sued to challenge conditions at T. Don Hutto, leading to the end of family detention there in 2009. My previous experience working at T. Don Hutto convinced me that children and their parents should not be detained in secure facilities under any circumstances. The images of sad children and their anxious parents will remain seared in my memory. Even if DHS has learned this time around to scrap the prison uniforms, cells and the accoutrements of a harsh prison regime, detention of children is wrong and has lasting harmful psychological effects. The complaints coming from the Artesia family detention center housing women and children in New Mexico are the same that I heard repeatedly at T. Don Hutto — depressed children, weight loss, stressed-out parents and unpleasant institutional food. Another family detention center facility opened this month in Karnes City, Texas. Like Hutto, it is run by another for-profit prison company, GEO. When I visited the Karnes City facility recently for the first time, I saw the same things: anxious mothers and crying children. Some argue that all the families and children should simply be sent home, or that we must increase the border patrol to “seal” the border, but the issue is much more nuanced. We must consider the systemic causes that have led desperate Central American parents and their children to flee violence, crime, gangs and poverty. Honduras, for example, has the highest murder rate in the world. Many families qualify for asylum protection, which in accordance with domestic and international law, prevents our government from returning a person to a country where she will be harmed. In addition to detaining children and their mothers, DHS has implemented a policy that no family should be released from detention at any point in the proceedings, even if they have established the threshold requirements for asylum. DHS’s position is a radical departure from its prior practice favoring the release of asylum seekers and providing them with an individualized determination regarding the necessity of a bond, to ensure their appearance in immigration court. DHS’s “no-bond” policy will result in lengthy detention for mothers and children as they present their asylum cases before the immigration court. The refusal to release families on bond also conflicts with a prior court settlement in the case of Reno v. Flores that requires that DHS use the least restrictive alternative to detention for children. Children should not be denied this right simply because they are accompanied by and detained with a parent. This is a refugee crisis, and there is a broad spectrum of less drastic alternatives to detention for families to ensure that they appear for their future immigration hearings. Mothers and children should be reunited with family members in the United States rather than languish in detention. Families should be placed in community supervision programs or programs that require them to report frequently to DHS. Funding should be increased to provide lawyers for this population. Studies have shown that asylum applicants with legal representation have a high court appearance rate and far better success in their cases. Let us not repeat the mistakes of the T. Don Hutto center and, instead, treat children and their parents compassionately. Barbara Hines was co-counsel in the Hutto Detention Center litigation and is a clinical professor of law at The University of Texas School of Law in Austin. What many Americans are just beginning to realize is that a high-stakes drama is being played out in a courtroom near them right now. Not only is this storyline nonfiction, but it often involves life and death consequences. The courtrooms are located in our nation's 58 immigration courts, whose cases include what amount to death penalty cases heard in traffic court settings. At last count, over 360,000 cases were pending before only 230 immigration judges, which means the average caseload is over 1,500, almost four times the caseload carried by a typical District Court judge. They work in conditions that fans of television law dramas would not recognize — no bailiffs, no court reporters, no law clerks, and often no lawyer for the respondent who is accused of being in the United States unlawfully. Immigration judges compare these hearings to death penalty cases because an order of deportation can, in effect, be a death sentence. These cases often include a risk that the person might die if forced to return to his or her homeland, either from violence or from rampant diseases unchecked by an impoverished and/or corrupt government. But a judge cannot allow a person to stay here based on the risk — or even the certainty — of death, unless certain other technical requirements are met, despite the fact that this may force U.S. family members into homelessness or onto welfare rolls. For example, asylum can only be granted if the harm feared is on account of a ground recognized in the law, such as race, nationality, religion, political opinion or membership in a socially distinct group. Some who apply face violence or life-threatening conditions for different reasons, like the Haitian deportee from Florida who died of cholera-like symptoms within two weeks of his return to his home country. Other cases do not involve a threat to someone's physical safety, but amount to permanently exiling someone who has grown up in this country and calls it home. Lawful permanent residents who violate the law — sometimes in ways as minor as repeated petty thefts, or because of issues which some consider to be medical conditions, like drug addiction — can be placed in removal proceedings with little relief available. These cases involve difficult balancing of the public's legitimate interest in safety and a crime-free environment against the personal needs of these people's dependent U.S.-citizen family members and loved ones. Our immigration courts are the only face of the justice system that most non-citizens see. And, with the significant rise of mixed-status families, these decisions increasingly have far-reaching impact on the U.S.-citizen spouses, children, parents, friends, employers, co-workers and neighbors of those who appear in our immigration courts. America's pride in our national values of due process and fundamental fairness for all must be fulfilled by providing adequate resources to these courts to enable them to provide first-class justice. Structural reform is essential, because we can no longer justify housing an independent court system in a law enforcement agency like the Department of Justice — the tensions between the conflicting missions are too strong. 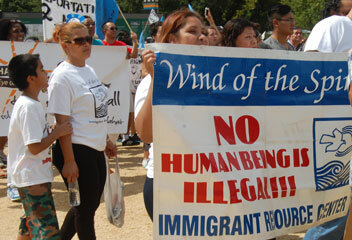 There is a solution agreed upon by the majority of experts — an Article I immigration court. By configuring the immigration courts like the tax or bankruptcy courts, many of the structural flaws which have plagued these tribunals for years would be alleviated. This restructuring would enhance transparency — allowing the public to more clearly see how our immigration courts function and the monies they spend. Do not let these dramas turn into tragedies. Do your part to assure that the immigration courts are not forgotten and abused. Help make the creation of an Article I immigration court a priority on Capitol Hill. Our heritage as a nation of immigrants requires no less of us. U.S. law professors sent a letter today to the White House stating that President Obama has wide legal authority to make needed changes to immigration enforcement policy. The president is considering how to use his authority to mitigate the damage caused by our dysfunctional immigration system and protect certain individuals from deportation. The letter was written by Stephen H. Legomsky, John S. Lehmann University Professor at Washington University School of Law and former U.S. Citizenship and Immigration Services (USCIS) Chief Counsel; Hiroshi Motomura, Susan Westerberg Prager Professor at UCLA School of Law; and Shoba Sivaprasad Wadhia, Samuel Weiss Faculty Scholar at Penn State Law. It was signed by professors from 32 states, the District of Columbia, and Puerto Rico. In their letter, the law professors point out that "The administration has the legal authority to use prosecutorial discretion as a tool for managing resources and protecting individuals residing in and contributing to the United States in meaningful ways." The letter goes on to explain that presidents from both parties have used prosecutorial discretion to prevent specific, and often large, groups of immigrants from being deported. "Our letter confirms that the administration has specific legal authority to use prosecutorial discretion as a tool for protecting an individual or group from deportation," said Wadhia. "This legal authority served as foundation for prosecutorial discretion policy across several administrations. Historically, this policy has been premised on the twin policy goals of managing limited resources and shielding people with compelling situations from removal." This is the second major letter about prosecutorial discretion that law professors have sent to President Obama. The first letter, sent in 2012, outlined the legal argument for expanded administrative relief, which later became the blueprint for the president's DACA program. That program allows qualifying noncitizens who came to the United States as children to apply for relief from deportation and work authorization. 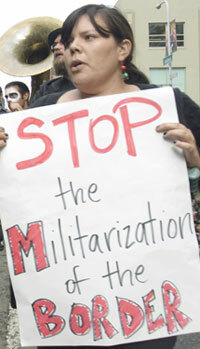 "This letter reflects a clear, broad, and informed consensus on two key points," said Motomura. "First, the president has the legal authority, exercising his discretion as the nation's top immigration prosecutor, to establish enforcement priorities. Second, the president's lawful discretion includes the authority to set up an orderly system, modeled on DACA, for granting temporary relief from deportation." A copy of the letter is available at pennstatelaw.psu.edu/lawprofessorletter.